Donald Trump Jr. appeared to confirm on Saturday that his father indeed suggested that former FBI Director James Comey should shut down the FBI's investigation of former National Security Adviser Michael Flynn. In an interview on Fox News, Trump Jr. said President Donald Trump was "vindicated" by Comey's admission that when he left the FBI, the bureau wasn't specifically investigating the president in the probe into potential collusion between the Trump campaign and Russia during the 2016 election. But the president's son also appeared to corroborate Comey's depiction of an Oval Office meeting in which Trump asked the then-director to call off the investigation into Flynn's links to Russia and Turkey, an interaction Comey noted in a personal memo. "You and I both know my father a long time," Trump Jr. told Fox News' Jeanine Pirro. "When he tells you to do something, guess what? There's no ambiguity in it." "There's no — 'Hey, I'm hoping — You and I are friends. Hey I hope this happens, but you've got to do your job.' That's what he told Comey. And for this guy, as a politician, to then go back and write a memo: 'Oh, I felt threatened.' He felt so threatened — but he didn't do anything." 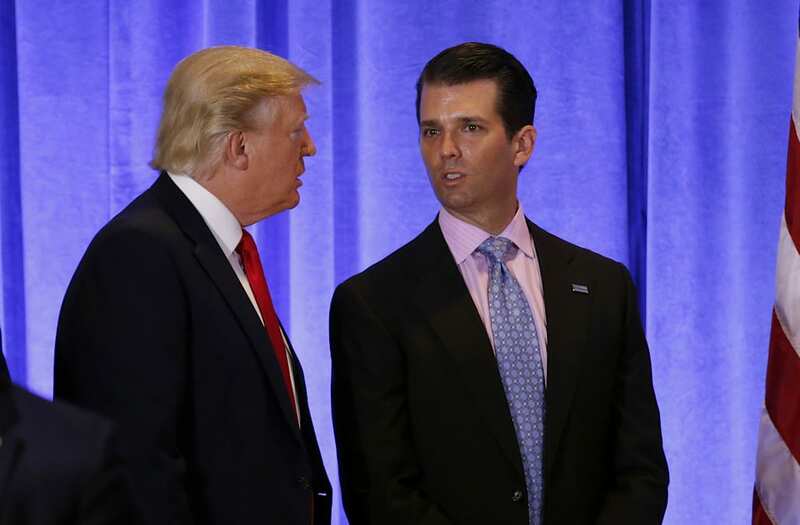 Trump Jr.'s comments appeared to contradict his father's assertions about the incident. The president's personal lawyer on Thursday denied that Trump asked Comey to drop the Flynn investigation. "I didn't say that," Trump said of Comey's assertion. "And there'd be nothing wrong with it if I did say that, according to everybody that I read today, but I did not say that." During Thursday's hearing, Comey explained his concern about his meetings with the president, saying he did not feel comfortable being in a room alone with Trump, as he felt the president was attempting to seek personal loyalty from the FBI director, despite the department's duty to remain neutral. The former FBI director said he publicly disclosed memos about his meeting with Trump because he felt the White House may deceive the public about the nature of the meetings and Comey's firing. "First, I was alone with the ... president-elect," Comey said of why he took notes. "The subject matter: I was talking about matters that touch on the FBI's core responsibility and that relate to the president, president-elect, personally. And then the nature of the person: I was honestly concerned that he might lie about the nature of our meeting, so I thought it important to document."